pool noodles and mats and duct tape and bean bags! 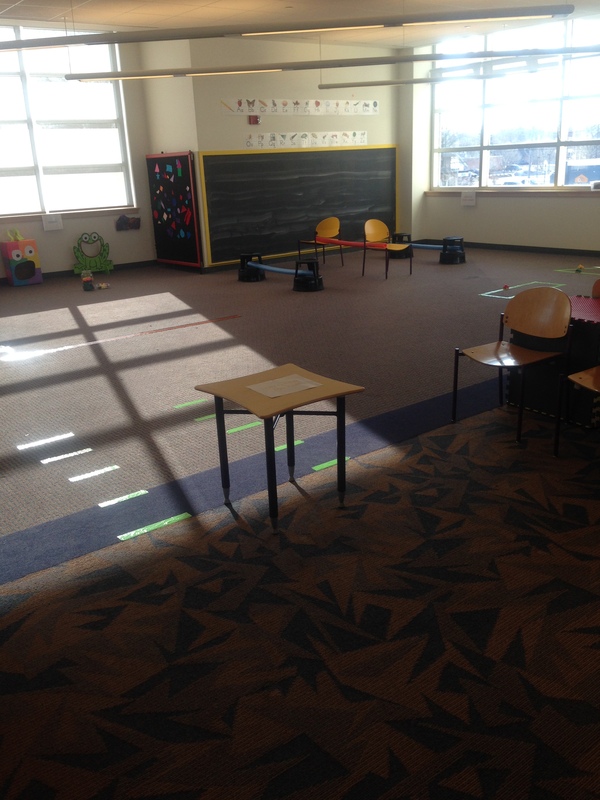 We’ve been offering a program every Friday at 10:00am for 18mos-5 year olds and their caregivers: dance parties, science, process art, parachute play, and movement. About half we do ourselves and we are fortunate enough to be able to hire out the other half. This month I was all set to do a parachute play session, but then a post about an obstacle course caught my eye on the Storytime Underground facebook page. I’m totally an obstacle course kinda woman. 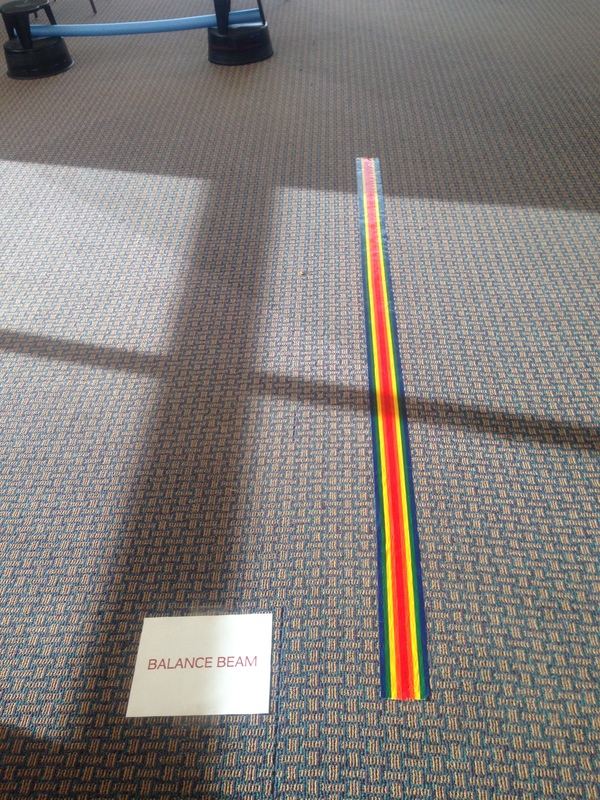 Balance beam: Many thanks to our teen librarian who let me use her superfancy rainbow duct tape. It was a big hit! 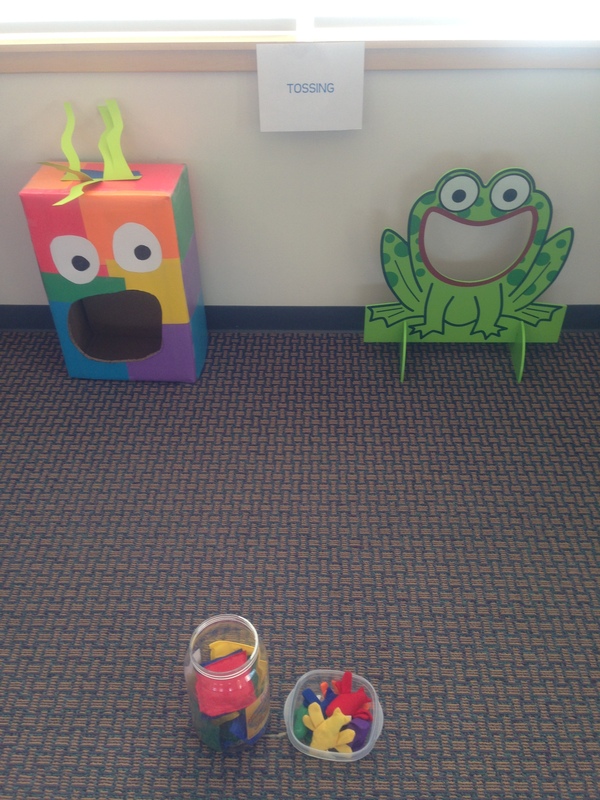 Tossing: The monster friend on the left we made and the frog on the right was something we found that had been stashed away. I was wildly impressed we actually tried to throw the bean bags INTO the mouths and not AT each other. 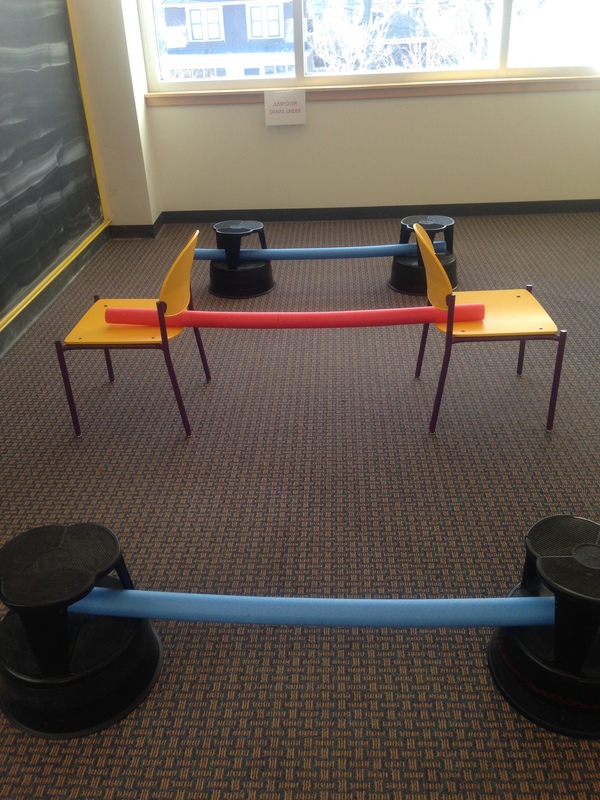 Over and under and over: pool noodles, step stools, and chairs. This was really popular. We had one kid who just did hot laps through this station over and over and over again. 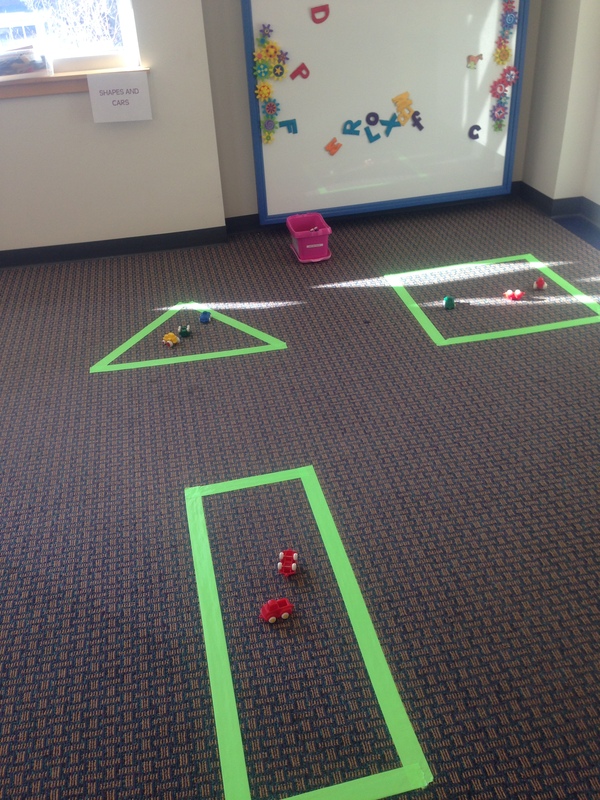 Trucks and shapes with duct tape: Not so wiggly, but it was nice to have a calmer station where we could trace our shapes with our trucks. 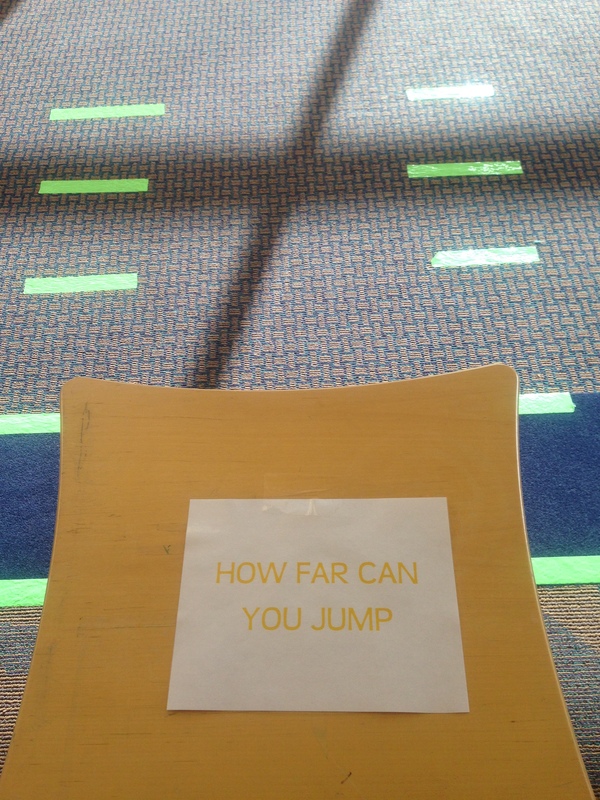 How far can you jump: ducts tape with numbers. A surprisingly popular station given how easy it was to set up. I ended up making one of these closer together which was definitely the smart thing to do. It gave them so much confidence to be able to reach 5! 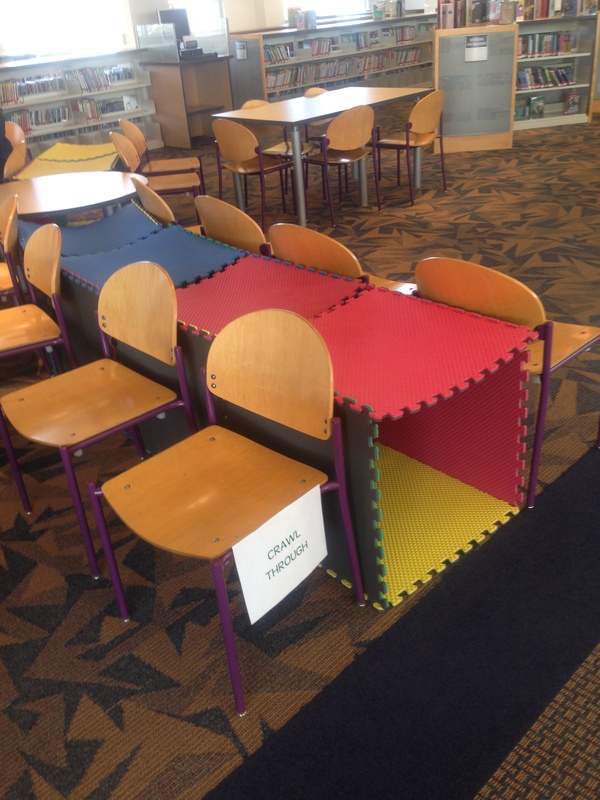 Crawl through: mats and chairs. Yup. This was the big one. I had questioned having multiple entry and exit points, but it worked out really well. I also had 3 stand alones in case we were a little nervous about the long tunnel. 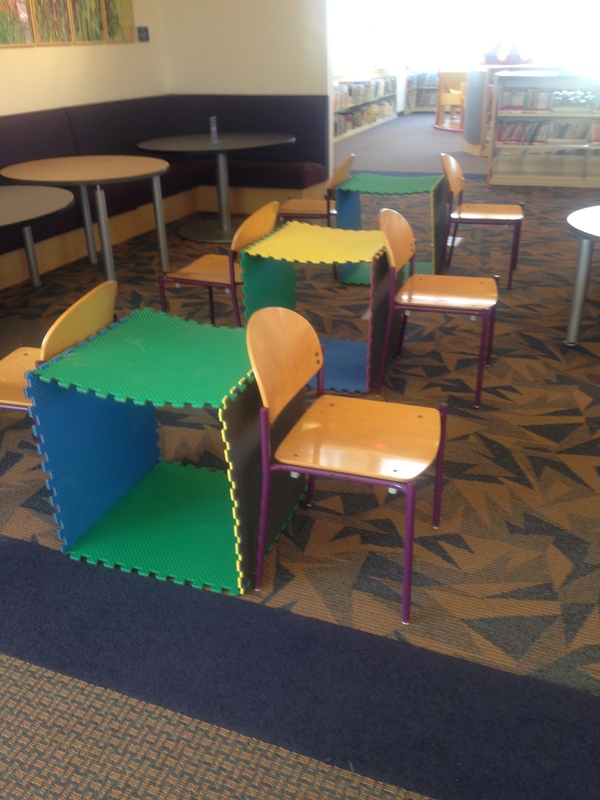 We were originally going to purchase tunnels, but I wanted to make sure this was going to be something we wanted to repeat before we invested money so we used our mats from our baby storytime room hence the need to have chairs to keep them upright. I had multiple requests from caregivers to include this next winter in our Friday rotation of programs (which are actually in jeopardy given our staffing levels on Fridays but fingers crossed!) and we had about 50 kids and caregivers in attendance which was about perfect for the space. Miss Erin is now really tired as she jumped and crawled and tossed and balanced right along with them!